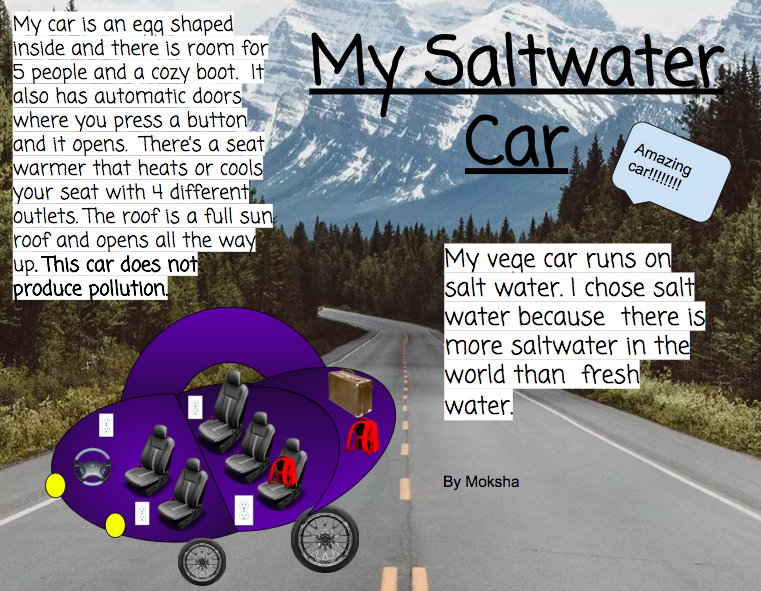 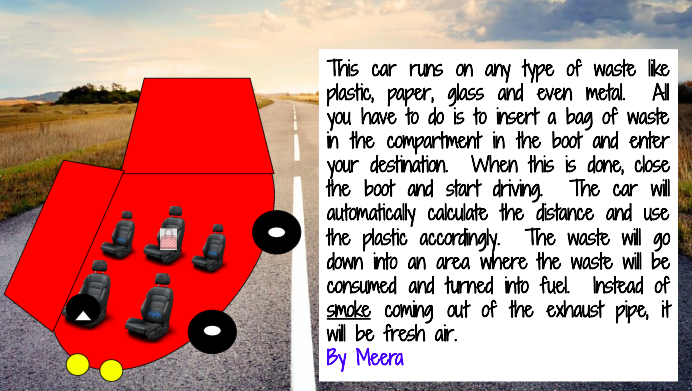 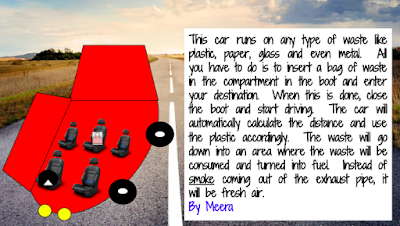 After reading the journal story 'The Vege Car' the J.K. Rowling reading created their own environmentally friendly cars. 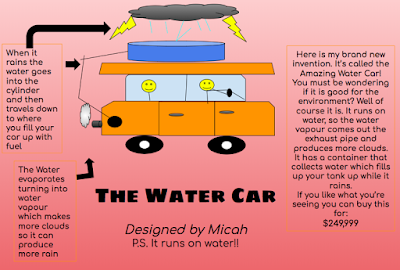 Here's a look at a few of them. 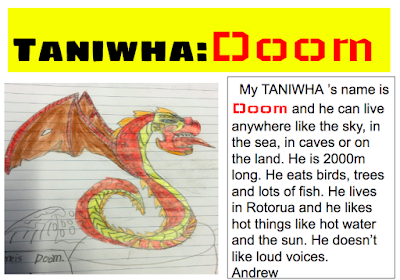 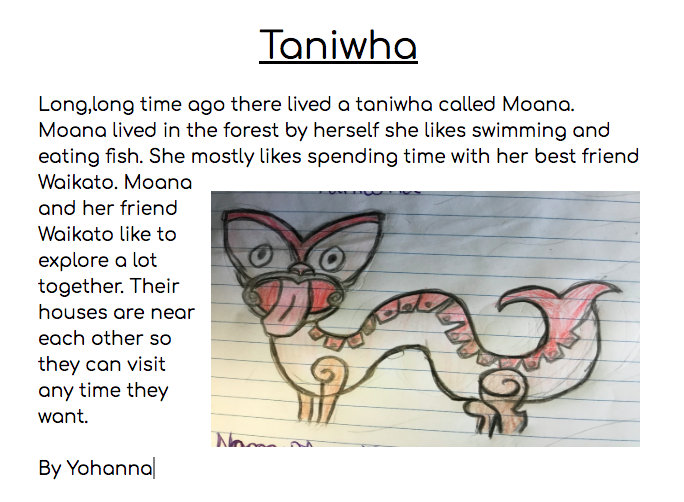 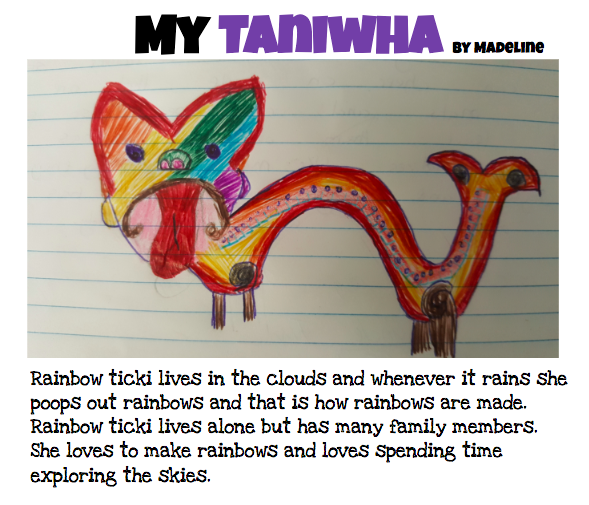 The Roald Dahl Reading group created their own Taniwhas after reading and discussing the journal story Awarua: The Taniwha of Porirua. 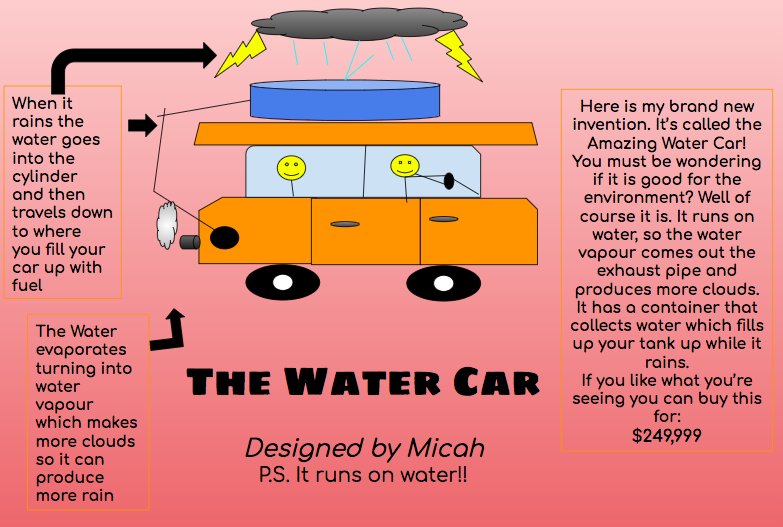 Here's what Johanna, Madeline and Andrew came up with. I really love your creativity, Room 6 - in both your car designs and also those students that created taniwhas!